Salon hair care. Intensely nourishes, leaving hair irresistibly silky, hydrated and manageable. Experience Nexxus Luxury. Scientifically developed. Salon proven. 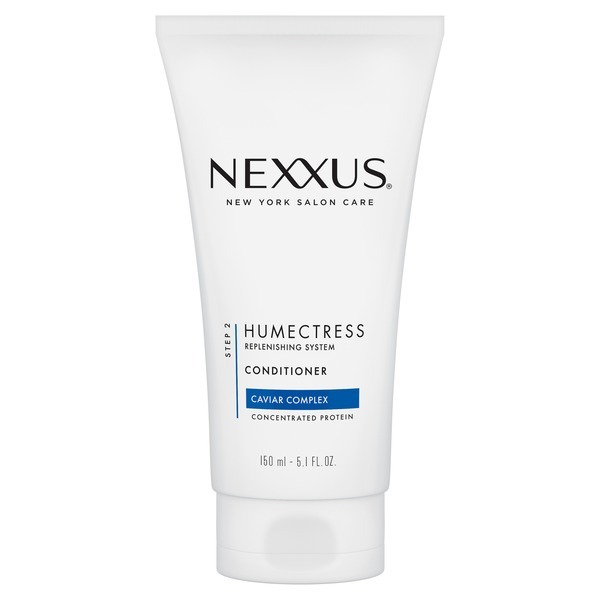 Nexxus Ultimate Moisture Products restore and maintain vital moisturization, leaving hair touchably soft with a vibrant healthy look. Humectress Ultimate Moisture Conditioner, infused with Vitamin E, Coconut Oil, and Honey Extract, provides nourishing moisture leaving hair luxuriously soft, manageable, and full of luster. Made in USA. Aqua, Cetearyl Alcohol, Dimethicone, Stearamidopropyl Dimethylamine, Hydrolyzed Caviar Extract, Hydrolyzed Wheat Protein, Hydrolyzed Elastin, Hydrolyzed Keratin, Gluconolactone, Trehalose, Adipic Acid, Sodium Sulfate, Hydrolyzed Actin, Hydrolyzed Roe, Fucus Vesiculosus Extract, Cocos Nucifera Oil, Glycerin, Propylene Glycol, Behentrimonium Chloride, Amodimethicone, Cetrimonium Chloride, Parfum, Sodium Chloride, PEG-7 Propylheptyl Ether, Disodium EDTA, Dipropylene Glycol, Lactic Acid, DMDM Hydantoin, Phenoxyethanol, Sodium Benzoate, Alpha-Isomethyl Ionone, Benzyl Alcohol, Benzyl Salicylate, Butylphenyl Methylpropional, Citronellol, Coumarin, Geraniol, Limonene, Linalool.